GearSystem v2.5.1 is released. GearSystem is a Sega Master System / Game Gear emulator written in C++ that runs on iOS, Raspberry Pi, Mac, Windows and Linux. The main focus of this emulator is readability of source code with very high compatibility. - Highly accurate Z80 core. - Multi-Mapper support: SEGA, Codemasters, and ROM only cartridges. - External RAM support with save files. - Automatic region detection: NTSC-JAP, NTSC-USA, PAL-EUR. - SMS2 only 224 mode support. - Internal database for rom detection. - Sound emulation using SDL Audio and Sms_Snd_Emu library. - Integrated disassembler. It can dump the full disassembled memory to a text file or access it in real time. - Compressed rom support (ZIP deflate). - Multi platform. Runs on Windows, Linux, Mac OS X, Raspberry Pi and iOS. DCEmu is going through its biggest change in years and yes its thoroughly needed, as you can see if you have visited recently I am condensing all sites down, the network got up to nearly 40 sites and it was way too spread out, by the time im done we will be at about 8 if not less, this Dreamcast site will now also have Sega Saturn, Megadrive, Master System and 32X News also. Sega Saturn News has today had a massive update and it looks tons better for it, Sega Saturn News is our news and homebrew /emulation site for Sega Saturn, Sega Genesis/Megadrive, Sega 32x, Sega Master System, Sega CD and also Sega Game Gear. Luckily for us Amazon.com have a list of up to date BestSelling pages for all the consoles at Sega Saturn News and we here at DCEmu have made pages for all of them so even though all these consoles disapeared years ago you can find out whats selling now. 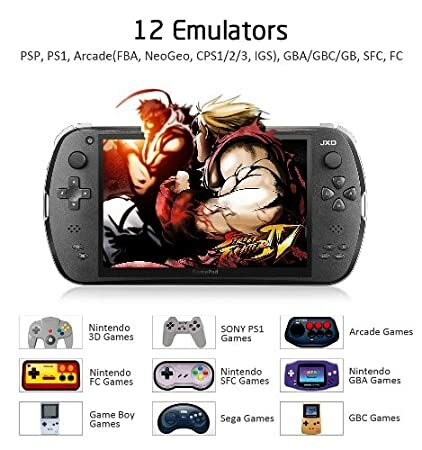 Zega Alpha is the new name of vbsms+, an enhanced version version of the Sega MasterSystem/GameGear emulator. Due to updates, please reconfigure your input before playing games. You may need to also rename your saves, movies, and such from *.v* to *.z*. This is due to a change in the folder system. Yuji Naka may not have the same name recognition these days as Shigeru Miyamoto or Hideo Kojima, but he's absolutely one of the pillars of Japanese video game development. If it weren't for Naka-san's efforts in creating Sonic the Hedgehog and leading Sonic Team, our generation would never have witnessed the glorious Nintendo vs. Sega rivalry, which ultimately produced many brilliant games on both sides. In March of 2006, Naka-san eventually decided to test the development waters with his own studio, Prope. He was actually the last member of the core creative team that created Sonic to leave Sega, which may explain the decline of the franchise (but we'll get to that later). In this exclusive, GamesIndustry International had a rare opportunity to speak with the legend about a variety of topics. We started by asking him about his legacy, which he actually found to be a somewhat strange query. "Being asked about 'Yuji Naka's legacy' is a little odd since I'm still actively creating games. When I finally retire from making games, I assume people will decide what my lasting 'legacy' will be at that point… though I think it will probably be Sonic," he said. He then reflected on some of the critically acclaimed games he designed: "It's been 28 years since I started developing games, and during that span I've brought a lot of products into this world. Out of those titles Sonic is the one that is the most remembered, but Phantasy Star Online, an online game put out on a family-oriented game console, had a lot of hardships during development but I think we were able to release a really good and advanced product at the time. Perhaps just barely being able to release it within the end of the 20th century has something to do with why I feel so strongly about that game." "I think even moderately raising the difficulty level [of Sonic games] in the future could work well"
"The arcade game Samba de Amigo also stands out because the player uses their entire body to move and have fun. Using the newest cutting-edge technology to create a simple and just plain stupid innocent fun game was rewarding." Given that the last several years of Sonic gaming have been mostly sub-par (by Sega's own admission), we couldn't resist the opportunity to pick Naka-san's brain about what's gone wrong with the cherished franchise he started. Ironically, the explosion of the games industry in the last couple decades could have something to do with it, as more and more companies are trying to appeal to the mainstream - and that may not have been the best approach for Sonic. 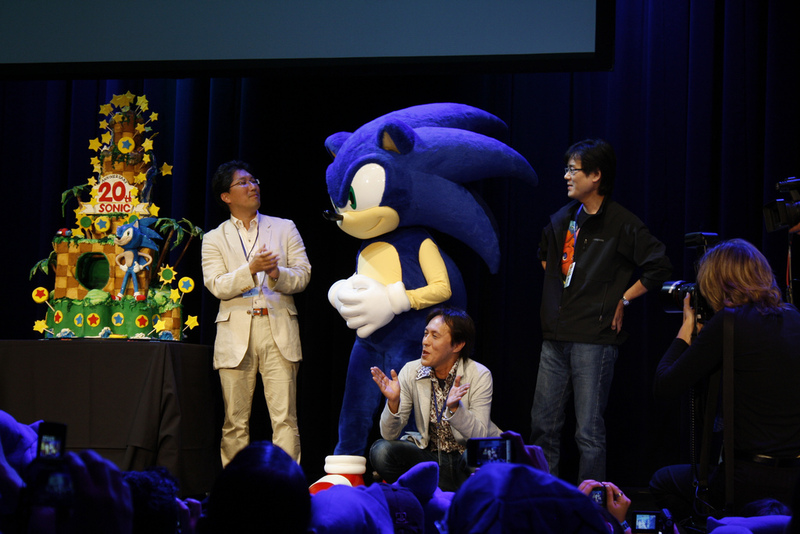 "I also think that recent iterations have not been as fun when compared to those of the past," Naka-san agreed, proceeding to explain what Sega has done wrong: "I think the number one reason for this is that the games have become much easier, so the gamer doesn't feel that extreme joy that comes with the satisfaction of accomplishing something that was very difficult to achieve." He continued, "Today's games are created to appeal to as wide of an audience as possible, so that's why the difficulty levels are so low in order to have both experienced and non-experienced gamers be able to play them. Sonic has a very simple control scheme that is capable of doing a lot of advanced things while sprinting at a high speed, that's what makes it a good game in my opinion. I think even moderately raising the difficulty level in the future could work well." It's been years since we've seen a rivalry as fierce as Nintendo vs. Sega in the 16-bit days. It's an era that brings a huge grin to the faces of most people in this editor's generation. Naka-san admitted to us that he'd sort of like to see Mario and Sonic continue to be adversaries: "Thinking back to the rivalry between Sonic and Mario back in those days brings back some fond memories. It was based on each of them running on different hardware and which one was better, which made for a great rivalry. I would like for Sonic and Mario to keep up that rivalry relationship long into the foreseeable future." Of course, we all know that's not happening now that Sega's no longer a hardware manufacturer and Sonic's already appeared with Mario in a few games. Naka-san did express his wish to possibly one day breathe new life into Sonic again, or into one of his other fan favorites like Nights. "Unfortunately, I haven't had the opportunity to do so but perhaps at some point in the future if I could come back and contribute, that could be fun and gratifying," he remarked. Are you listening, Sega? So what's Naka-san's focus in 2012? Not surprisingly, like many veterans of this business he's moved to social and mobile experiences. He sees "the recent surge in smartphones [as] having a huge impact on console games. It's something that should be monitored carefully moving [into the] future." That said, there's still very much a place in his heart for huge triple-A games. You can tell im not at work till later today, ive just updated our Sega Saturn site up to the latest version, Sega Saturn News is our site that covers everything Sega bar the Dreamcast, You can find Saturn, 32X, Genesis, Megadrive, Master System and Game Gear news and more on our Sega Saturn site. In excess of 6.5m PlayStation consoles were sold worldwide in the period between November 18th to December 31st, Sony has estimated. Of those sales, the new PlayStation Vita contributed half a million units following its Japanese launch on December 17th. Sony added that over 70 Vita games are currently in development for the Japanese market. All times are GMT +1. The time now is 21:47.